The First Sunday In August - EVERY YEAR! The 2017 fete brought together families and local groups to support the preschool in a fun celebration of community. Many present and past preschool families and more than 80 local businesses supported the preschool in staging a family event that showcased local talent and services, combined with fun activities and great food. For over 50 years the preschool has played an important role in the Kenthurst community, and for many of those years the fete in early August has been a vibrant and successful event to support this important service. 2017 was no exception! Kenthurst Preschool gratefully acknowledges the continuing support of local businesses and associations, and sincerely thanks the contributions of the many volunteers who gave generously of their time to ensure the success of the event. The 2018 Fete Sponsorship information has not been completed but if you want to get on the front foot, email us at fete@kenthurstpreschool.org.au to find out how you can partner with Kenthurst Preschool for this wonderful community event. Products and services means we have lots of fun giveaways and prizes. 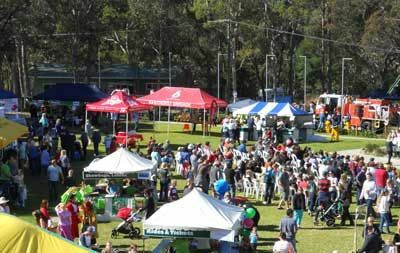 With 4000 people attending the fete in 2017, our busy Facebook page, public advertising agreements and our connections with local media and community, organisations that take up fete sponsorship will be front of mind for many Hills families when it’s purchasing decision time!